Bruce Springsteen, Born To Run. Casual readers might not realize it but behind this blog there lies a project: namely to chronicle Oscar Wilde’s tour of America in a page-by-page detailed verification of more than 140 lecture dates—and in that pursuit, it was time to investigate another such event. On this occasion I was able to retrace Oscar steps literally, as the venue was Freehold, in my home state of New Jersey—in preparation for which I sought some local inspiration at nearby POI. For a local catalyst to our story I chose the Rosenbach Museum and Library. The trouble with such an estimable place, however, is that its Wilde catalogue consists of a collection either too fine or too famous. Typescripts of Salome and Dorian Gray, and the like. It’s a measure of how worthy the holdings are of being appreciated by everyone that they keep them hidden away in the vaults. Even if I could have gained visiting rights to the incarcerated ephemera, I was disinclined to draw on the experience. As Oscar noted about indulging rent boys at Kettner’s restaurant, it would have been like feasting with panthers. 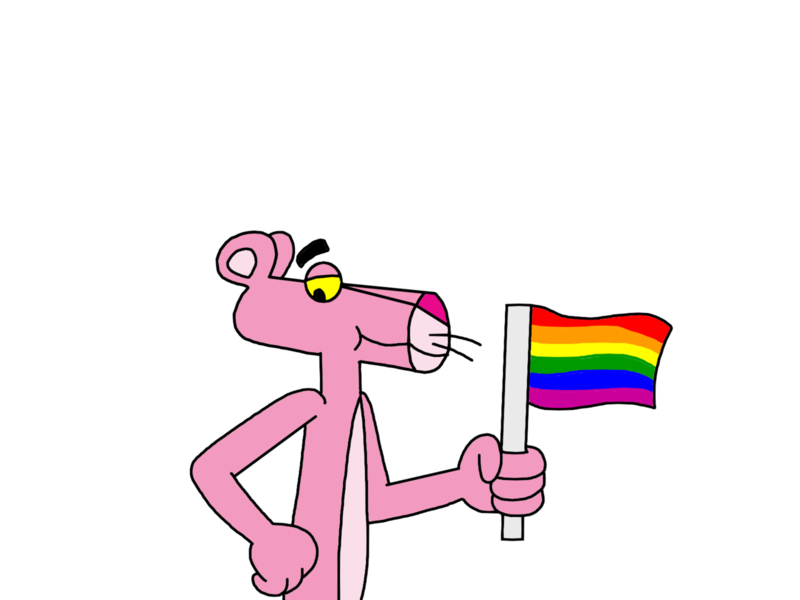 And, no doubt, I would have made the same discovery about mining out-of-sight catalysts in the catacombs that Oscar had made about dining outlawed cats in the gay underworld: they offer more stimulation when they’re not under lock and key. So I took Oscar’s further advice that to be obvious is to be inartistic, and pussyfooted over from the arty fiction of the Library to the artifacts of the Museum where the exhibits are less captive, and thus, perhaps, more captivating. Prominent in the corridor of the Museum there hangs a Royal Patent signed, no less, by King Charles II mandating the freedom of the English stage. Could this be our New Jersey catalyst? Well, we know Oscar was an exponent of the English theater, but this was a segue too feeble even for me. After all, there are theater stages everywhere, not just in New Jersey. Neither was there anything locally relevant in the coincidence that Charles and Oscar were both received into the Catholic Church on their deathbeds—and the fact that both men were semi-conscious at the time seemed more prerequisite than serendipitous. I needed to join the dots and was about to give up on Charles II when I recalled something of the C.3.3. about old C.2. This aforementioned link to our regal refugee led me to the knowledge that Charles interlaced his interregnum with a spell on the English Channel Island known as Jersey, home of Wilde’s Jersey Lily Langtry. Forsooth, was Charles not proclaimed king in the very marketplace of St Helier (the capital city) which they now call Royal Square in honor of his affinity for the place? Aye, and there’s the rub! For when Charles’s English colonizing fleet subsequently annexed the land between the Hudson and Delaware rivers, did he not pay homage to ye olde isle of Jersey by overseeing the territory’s designation as New Jersey! This was a good enough connection for me, and, suitably buttressed by these historically Wildean bonds, I ventured upstate. When one thinks about New Jersey today—and as I live there one is forced to occasionally—it becomes quickly apparent that it clings to its endearment as the Garden State rather than necessarily exemplifying it. Industry abounds, especially in the heartland. Sneeringly, neighbors in Pennsylvania regard it merely as a place one must pass though in order to reach the shore. As a state it is the fourth-smallest and yet the 11th-most populous, making it the most densely populated. 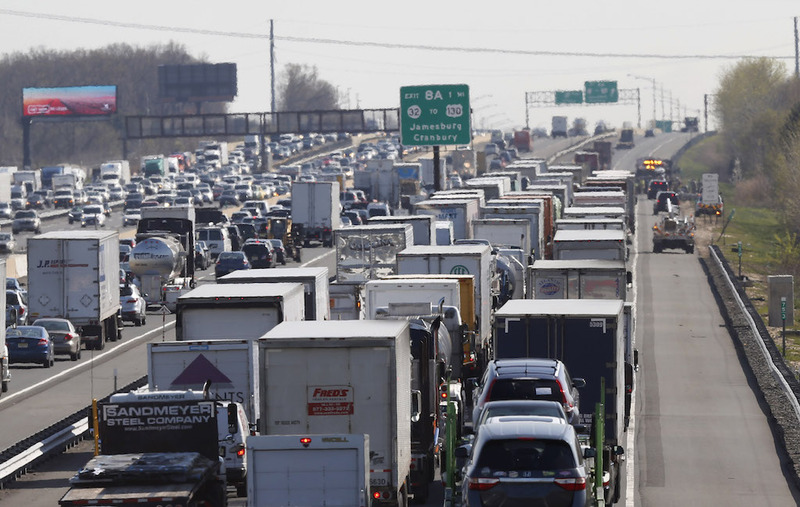 The spine of all this suburban sprawl is that asphalt accolade to the automobile: the New Jersey Turnpike, one of the busiest roads in the country. Its dominance is such that when one confesses residency here, people requiring a more precise location simply ask, “which exit?” Such is the hegemony of the motor vehicle that locals fail to see any irony in this rejoinder. It mirrors Oscar’s story of the American art patron who sued the railroad company because a statue of the Venus of Milo arrived without its arms, and was then awarded the case with damages. Take Exit 8 off the turnpike and one soon reaches the township of Freehold. It’s one of those places like Oakland, California about which Gertrude Stein once said memorably: “there is no there there”. Perhaps it is a conflicted place. 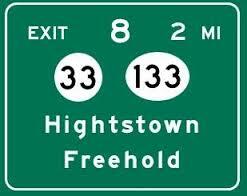 Its most famous son, Bruce Springsteen, both loved and the hated Freehold. It left him, he said in his autobiography, “wonderfully and perilously adrift”. Free to memorialize it in a dozen songs of discarded past and rustbelt waste, he eventually slammed the screen door and headed out on the road. Apparently, you’ve gotta get out while you’re young, because the only conflict historians bang on about is the Battle of Monmouth where General Washington and Cornwallis fought to a score draw in overtime, the match being abandoned owing to heat exhaustion. As the heat was also getting to me, I decided to concentrate on another Freehold claim to fame, but one that no resident seems to know about. When Oscar returned to New York from the West, he arranged two New Jersey stops on his way to a repeat lecture in Philadelphia. One of these was in the remote town of Freehold on May 8, 1882. Biographers had some idea of this, of course, but not the evidence, since online searching wasn’t available back when those chronologies were written. Trouble is, it still isn’t available for a place like Freehold. So this meant a Summer car journey to local archives to discover the details. 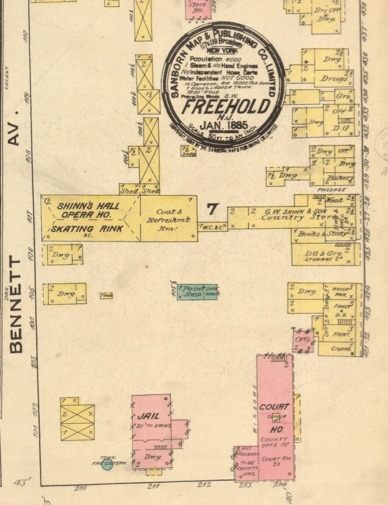 I discovered that Freehold was even more remote in 1882 than it is today. Special trains had to be laid on to bring the curious from outlying districts and pay their 50 cents to ogle at what the press termed Wilde’s “outre apparel”. Actually, the name of the lecture venue was quite fitting for a man in knee breeches: it turned out to be a place called Shinn’s Hall—named for George W. Shinn, a local businessman—something we didn’t know until now. Later, the hall incongruously became a skating rink and a National Guard armory, but it will not surprise those following my theme to learn that the location is now a parking lot. Having collected my newspaper clippings and photographs of Wilde’s time in Freehold, it was time to leave the old town and hit the hot lanes of the highway. As I drove back to Exit 8, now even sweatier in stop-and-go traffic, I longed for 1882’s blithe untiring train and the breezy horse-drawn carriage. I pondered my parallel pursuit of Oscar’s America and realized I would never recapture that sunflower Summer. I was reminded of Paul Simon’s song America and its warning of the futility of searching for a country that does not exist. I used to think the song’s fateful lyrics were figurative. That its allusions were an allegory. But when the six lanes of highway in my direction ground to a halt I learned the irony of the coda. That all who come to look for America really do end up counting the cars on the New Jersey Turnpike. Great article! 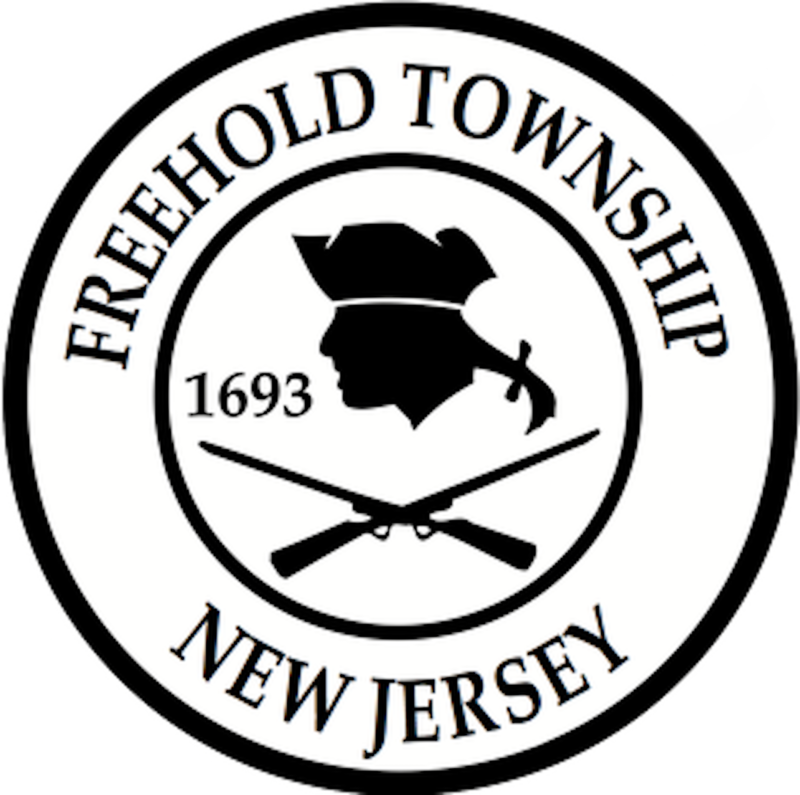 I live close to Freehold ( that’s 7A for all you P.A. readers) and appreciated the Oscar Wilde connection to my neck of the woods. If a rare collection exists and no one is there to experience it – to the likes of a “literary wink in the dark” – should the next generation even care if fell or not?